I know the blog looks abandoned again, but it really isn't! 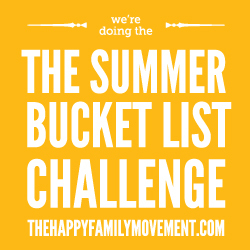 We've been quite busy checking off Bucket List items and I haven't had time to edit photos or blog. In the past few weeks we've gotten lots accomplished! Starting July 1st with Canada Day in St. Andrew's (parade, market, races, games, playground, rain, fireworks, over 1000 photos!) and including our Girl Guide Camp (at which I took NO photos), VBS, and a surprise visit from my Mom and Step-father. Not a lot of breathing space, but lots and lots of fun. Throw in crazy high temperatures and humidity and you've got a nice recipe for exhaustion. We waved off Mom and Terry this morning, it started raining just after lunch, and the kids and I have checked off "rainy day PJ party, make cookies and Wii Marathon" today. The rain is supposed to continue on and off for the next few days and we have no concrete plans, so I'll try to churn out what photos I have and lots and lots of updates. Stay tuned! How I feel: Deprived. Seriously. It was like I woke up with my muscles twitching and ready. Strange that after only two run days my body has already figured out the rhythm and thinks it's time to run. It wants to run. Weird, especially since we know it will then try to strike me dead when I do run. On the other hand, I've started getting shin splints already (I've had them before). I'm taking an extra calcium-magnesium supplement, which has helped in the past, so we'll see how it plays out. I also discovered my heels were KILLING me on the drive home from PEI, so I'll keep a feeler out on that. It may be that I need to retire the old sneaks and get some decent runners, and maybe a nice cushy insert for my heels. No quitting though! I'm more determined than ever! Why I (didn't) run: LAZY! Or too social? Something. We got to the church in PEI around 10:30. It was a fun drive, but it's always tiring. Then the drive to my billet, where I sat up talking with friends until after 1. Then the alarm went off at 5:45 so that we could fit in showers and get back to the church for breakfast at 7:30. Timing was tight. I could possibly have fit the run in, but I would have had to jump right out of bed and set off on a road I'd never been on before, and I just wasn't feeling brave, or particularly energetic, for that matter. And as it turns out I was on the road where the giant yard sale was set up, so I would have had many witnesses to my jiggling. And by the time I drove home and fell into bed Saturday night, I didn't feel up to running Sunday morning. I barely felt up to standing. And I made us late for church prepping my lesson and getting something thrown together for the potluck we had afterwards, which I had completely forgotten about until the Princess reminds me (she never forgets when there's a possibility of free desserts). And can I stop starting sentences with and? The grammar nut inside of me just died. Changes: I think I have to change my mindset. If I'm going to be a runner, I need to own it. I could have asked that the alarm be set a little earlier. At the first sign of scheduling difficulty I folded into what was easy instead of finding a way to make my run happen. No more excuses! Things to photograph on the way: Are you kidding me? I was on PEI! Everything is a picture. Everything. I love that little island! Sometimes it's a preference. I usually have a dangerously fine tuned sweet tooth, but every now and then I don't want sweet, I want salty. Or a big giant savoury salad. It's all good. 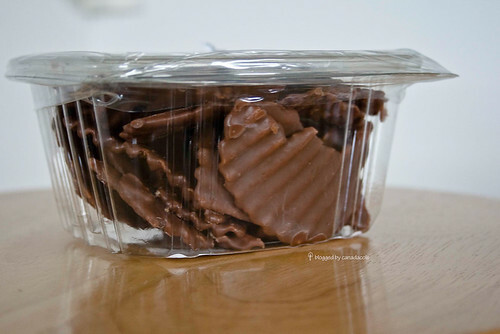 Once upon a time, I would get a low-grade craving for something, I would ignore it, it would pass. I am master of my body! Wahoo!!! But the older I get, the stronger the cravings get. Especially those once a month cravings. Ladies. You totally know what I'm talking about. And sometimes the cravings get all mixed up and bizarre. I want salty AND sweet. I want to dip my fries in my frosty, kwim? The hormones, they make demands. 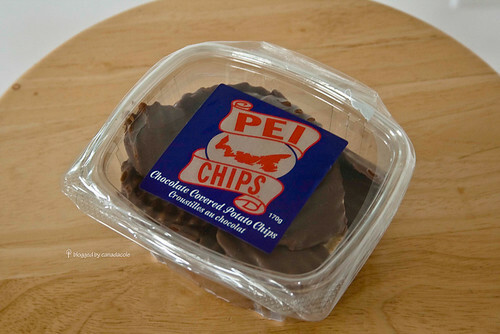 So when I went to PEI and one of the first things I saw were these, I squealed in delight (my mom can testify, she was with me). A woman TOTALLY came up with this. You just know it. And I must confess: I bought a package, just to try. They were kind of meh. Whatever. Nothing to write home about. But two days later, I NEEDED these. They were all I could think about. I HAD to go buy some and then I devoured them and enjoyed every single second. And don't ask me to share. They totally hit the spot in a way that nothing else could have. MMMMMM. So when I left the island I bought one last package. And it was as good as the second one. And now, approximately 28 days later, I woke up thinking about them. In fact, it's all I can think about. PEI. You islanders are GENIUS.